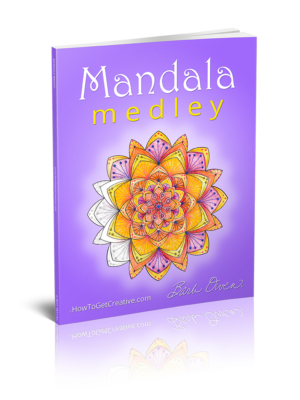 Mandala Medley is our NEWEST eBook! 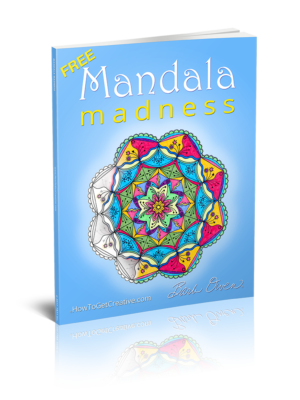 It contains 25 brand new original Mandalas by Barb. 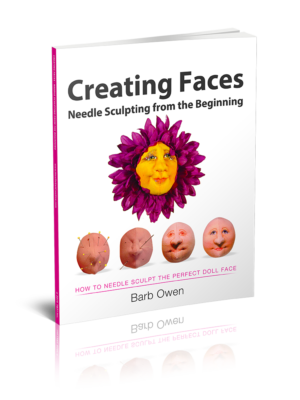 Print them at home so you can immediately start coloring and embellishing your favorite designs! Grab your markers, pens, pencils and relax with these beautiful new Mandalas. All the work is done for you, so Have Fun! 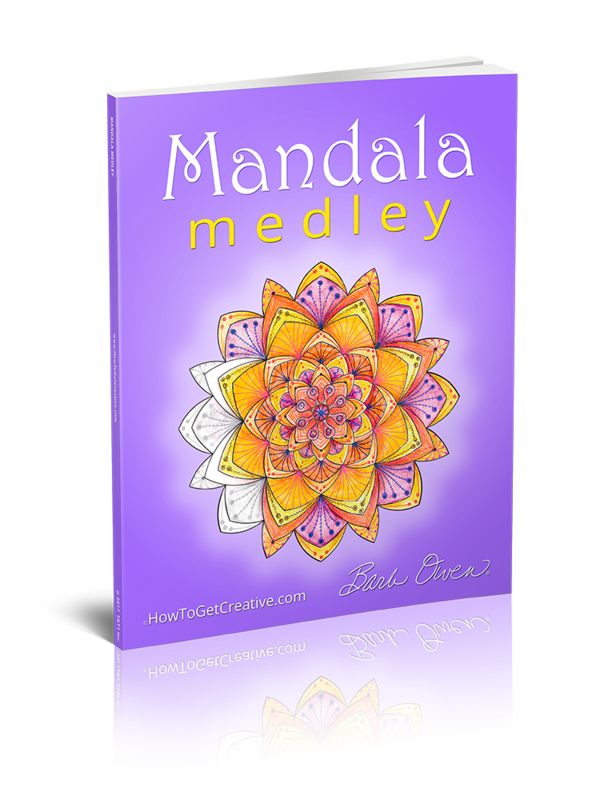 Mandala Medley is a collection of 25 of my newest Mandalas – just for YOU! You'll find Diamondesque Mandala, Eastern Flower Mandala, the Hearts and Scallops Mandala and many more. Print them all or just the ones you wish on 8.5×11 inch paper or card stock. 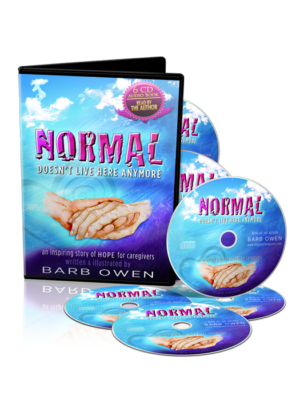 Grab your markers, crayons, pencils, colorful pens and create to your heart's content! If you'd like to learn How to Draw a Mandala with a Compass, check out This Post. 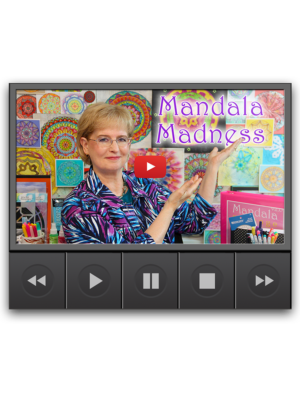 Be sure to check out our “Mandala Madness” Video Course. 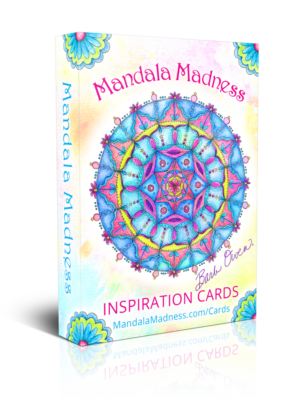 I'm totally “mad” for Mandalas, can't ya tell?!? !